Oooh - what a wonderful way for me to brush up on my French. I love Marie Claire (or should I say J'adore Marie Claire?) What a great idea you've given me! I'm going for it - going to sign up for a French subscription. C'est magnifique! Love the art and the ribbon doodads. Simply lovely! 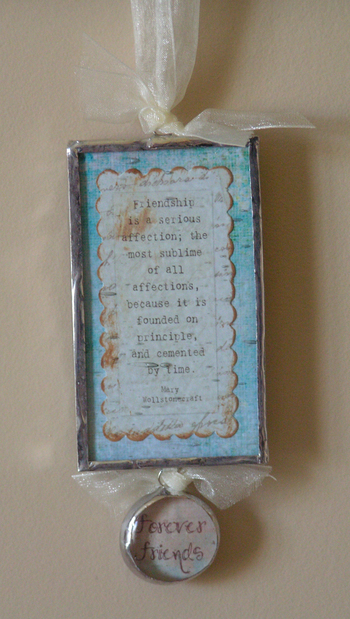 Love the ribbon and the friendship piece is very special. Don't you just love that Marie Claire Idees magazine? It's one of my favorites. I took French in HS and only remember a tiny bit. I like to flip through the magazine while sipping a cup of tea pretending I am sitting at a cafe in France. I love that magazine. I can't read French either. I can usually pick out bits and pieces of what it is talking about. I too love to get the mail, I think it's fun. Your necklace and, ribbon/belt/necklace are both really pretty. It's so fun to get little treats in between the bills,isn't it?? 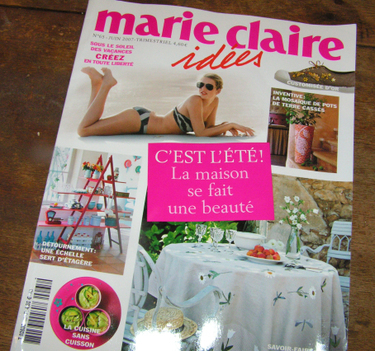 I haven't seen the new marie-claire, but it's always a treat. Sooner or later you can kind of figure out the French, right?? Have a happy week, Andrea!! Everything looks so pretty. I love the aqua color of the ribbons, lace, etc. The friendship charm is so sweet! 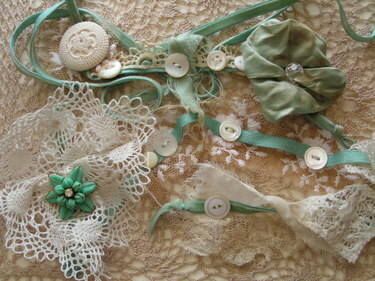 The lacey buttons and ribbons belt is beautiful. 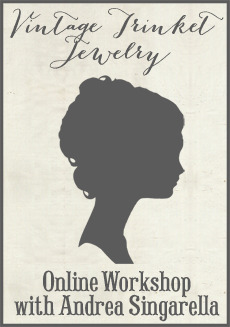 I am surprised by how many creative women are blogging now, and delighted that I get to share in their artworks. My name is Lizzie, I linked to your blog from a new friends. Nice to meet you! Oh pooh! I haven't received my copy of Marie Claire Idees yet. Dying to see what's inside.